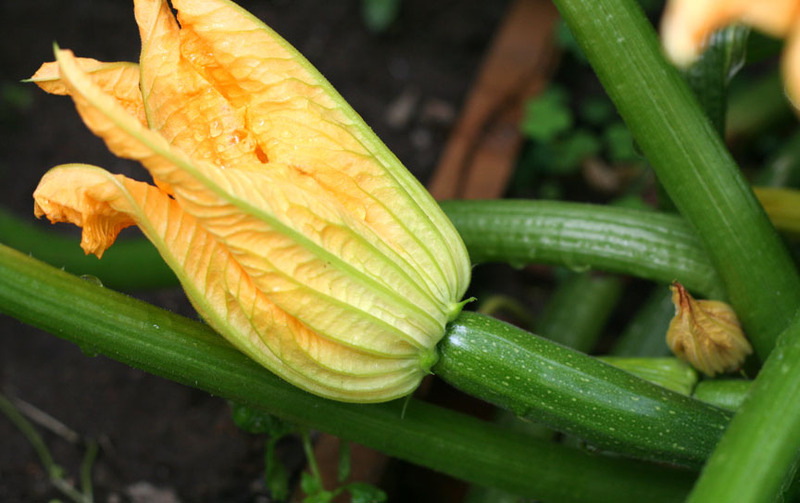 Zucchini is a prolific garden vegetable. Every time you turn around more squash have formed on the vine. 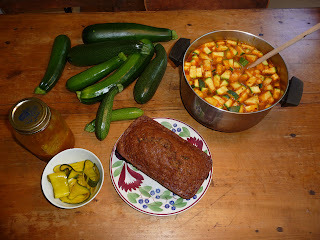 If you fail to inspect the plants for even a single day, you may end up with a mammoth zucchini the size of your thigh. They are certainly sneaky things, and thus they require a certain amount of stealth on our part as well. chickens to eat – that isn’t waste, that’s eggs and meat…. perpetrator, or course, was nowhere in sight. Assuming Garrison Keillor is correct, and we all have a little too much of a late summer harvest, it is time to get creative with this ingredient. Grilled zucchini is definitely my favorite, but I have had some other more surprising dishes as well: Zucchini skin salad with lemon zest, Disappearing Zucchini Orzo (Barbara Kingsolver's Animal, Vegetable, Miracle), Zucchini Brownies (Edible Berkshires), Pizzas with zucchini, corn, feta, lime and cilantro. The list goes on and on. Some recipes showcase the zucchini's flavors, and others use it more for its texture and moisture. Last weekend I got inventive in the kitchen. Clockwise from top: A tiny fraction of the harvest, zucchini soup, zucchini bread, zucchini pickles (delicious atop a hamburger).